San Francisco is one of the most attractive cities in the United States. At 1/10 the size of New York City, SF is a very pleasant place to live and visit. 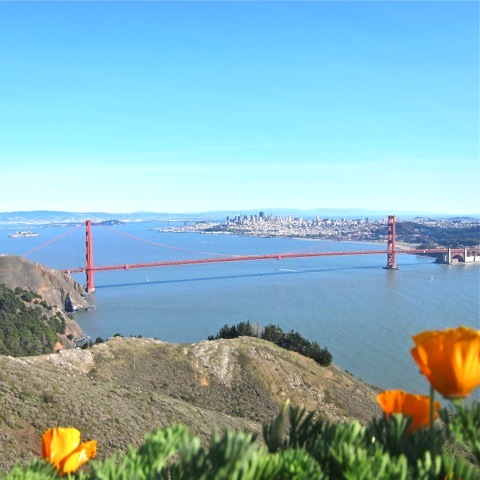 The iconic image of SF is the Golden Gate Bridge, astride the outlet of a big bay to the Pacific Ocean. Pristine beaches are only a short drive from the city. 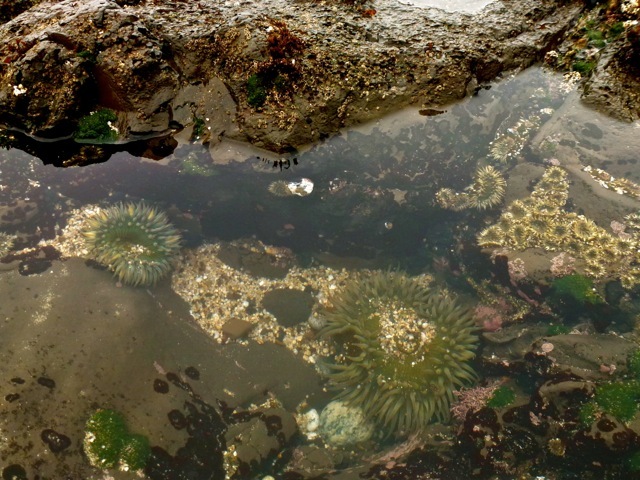 We visit tidal pools and see anemones and sea urchins. 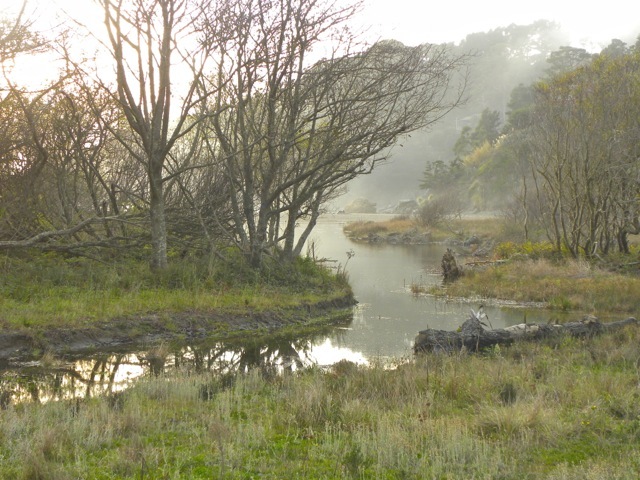 There are pristine streams and woods by the sea. 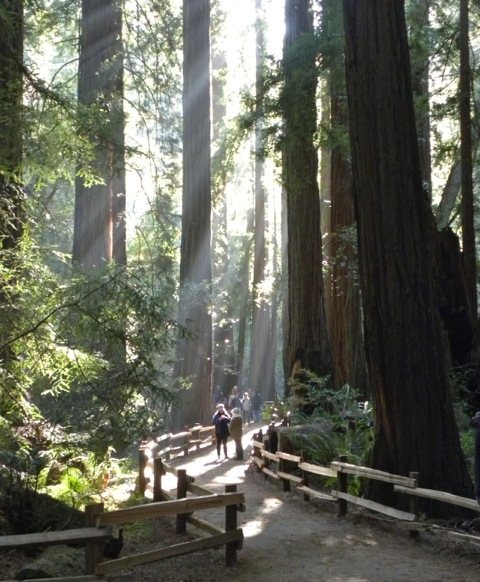 Majestic redwood forests are close by. One of the most attractive things about SF is its mild weather. The temperature hovers at 50 to 75 degrees year round. 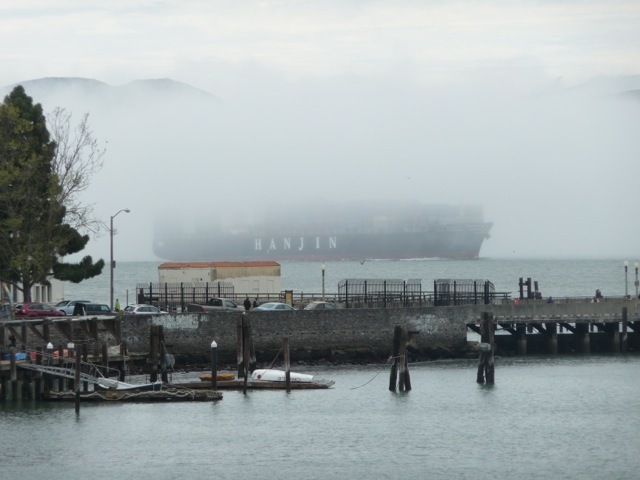 When the inland gets hot from the strong sun, cool ocean air and sometimes fog are drawn through the Golden Gate and over the low hills. These fogs often makes the city chilly and overcast. We have learned to wear a jacket every time we leave our house. At least we don’t need to shovel snow. 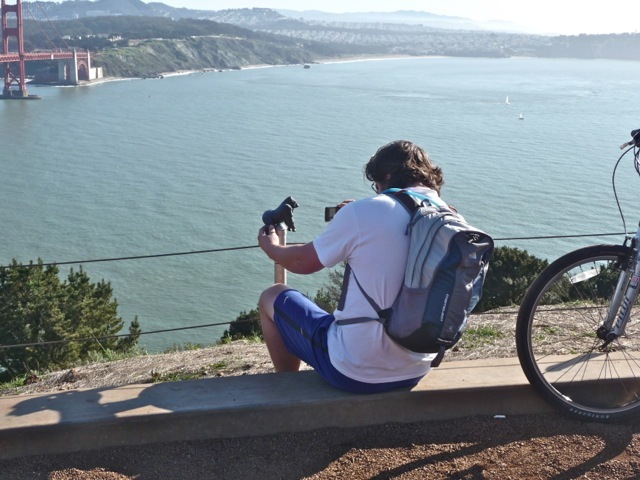 A tourist takes a picture of his toy gorilla with the Golden Gate Bridge in the background. 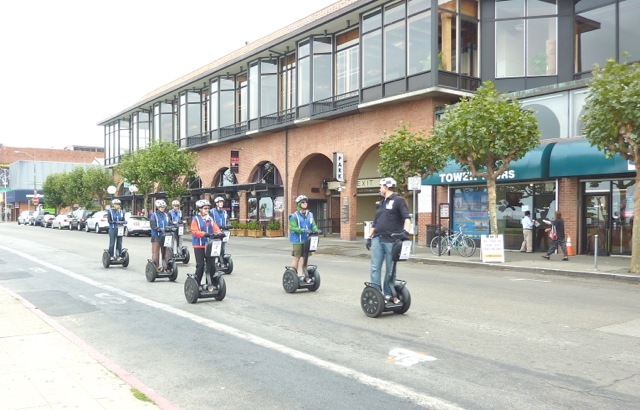 Some tourists ride segways and experience the thrill of these unusual two-wheeled vehicles. Others rent motorized three-wheeled vehicles. 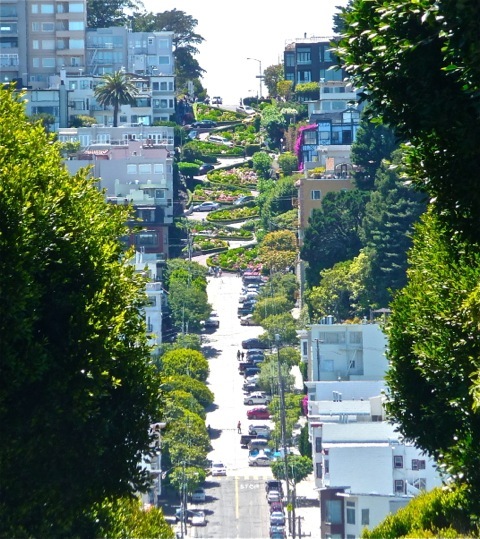 Even with its many hills, many San Franciscans are ecology-conscious and ride bicycles. 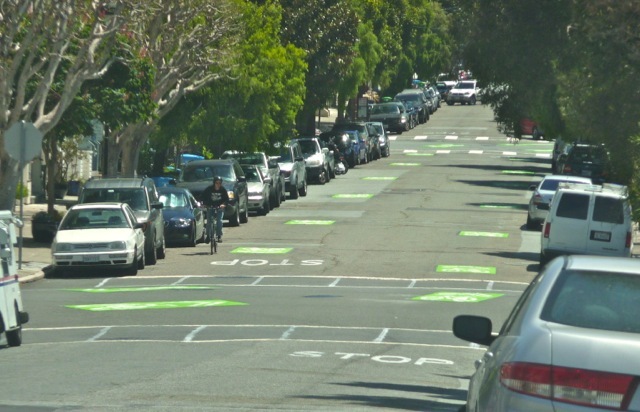 Green patches have recently been added to roads frequented by bikers. However, many bicycle riders violate traffic laws and run stop signs, threatening the safety of pedestrians. In California, vehicles must yield to pedestrians. Most pedestrians, in turn, also follow traffic lights. To this New Yorker, it is strange to see SF pedestrians wait patiently for the traffic light to turn green before crossing the street. 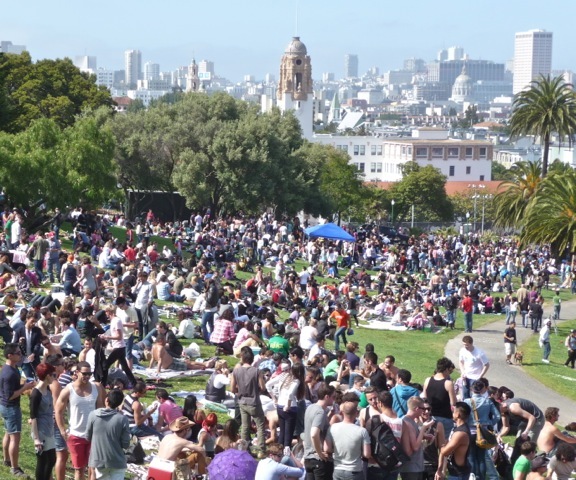 SF has many parks. One popular park attracts thousands of sun frolickers. 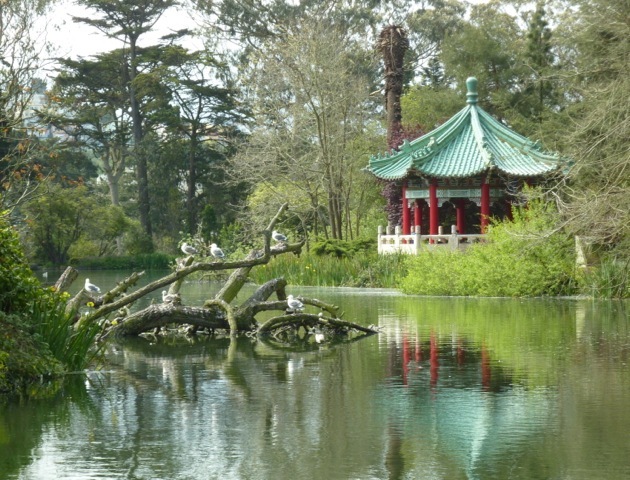 The Golden Gate Park is a great place to relax in. This pavilion was a gift from Taipei as a token of friendship. 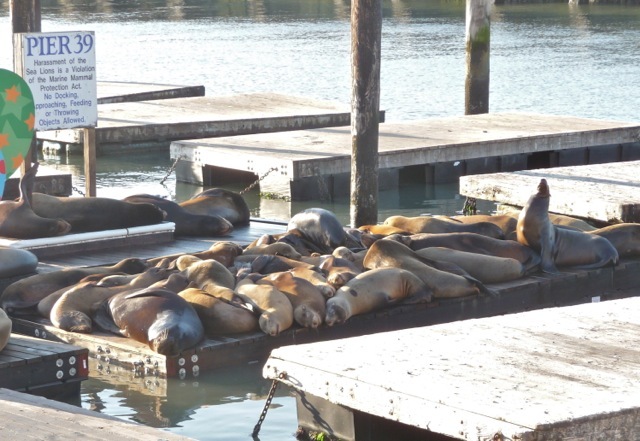 20 years ago, sea lions began to sun themselves on Pier 39 and gradually displaced the moored boats. These mostly male sea lions have become a major tourist attraction. Female sea lions stay on rocks out in the ocean with their pups. There are other unexpected wild life in SF. 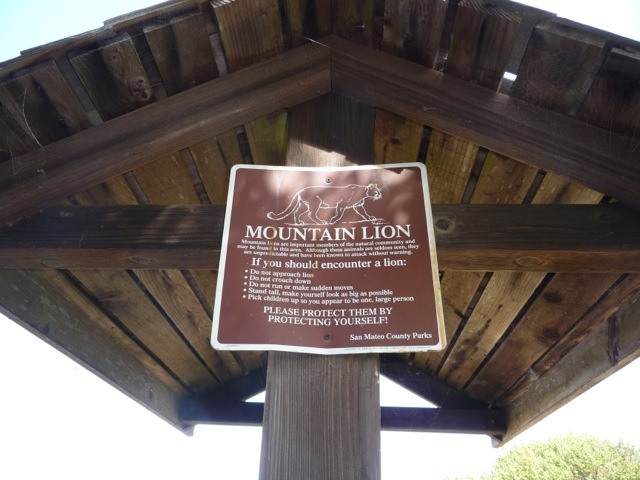 This sign warns of mountain lions in a county park. SF is a cultured city. 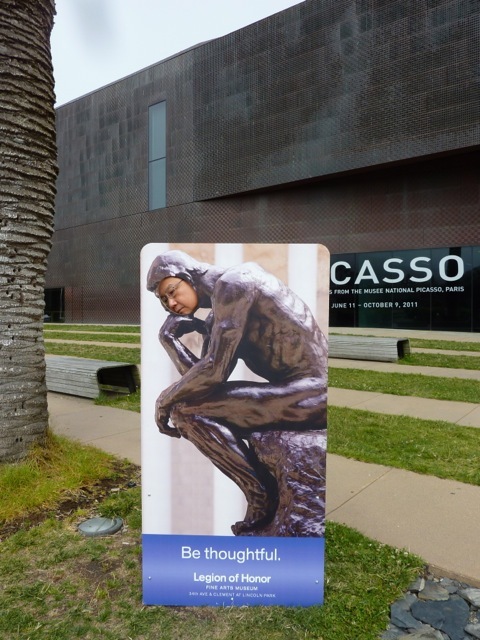 I went to the DeYoung Museum, found this cutout, and thought as the Thinker would have done. 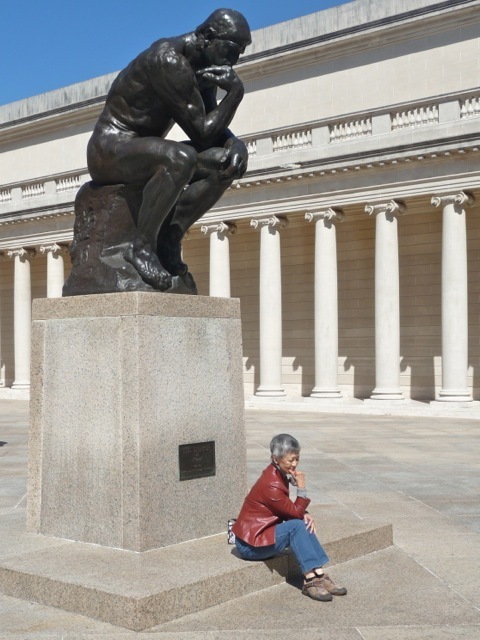 (Sally Wu)Sally found the sculpture Thinker by Rodin at the Museum of Legion of Honor, and immersed in deep thoughts. 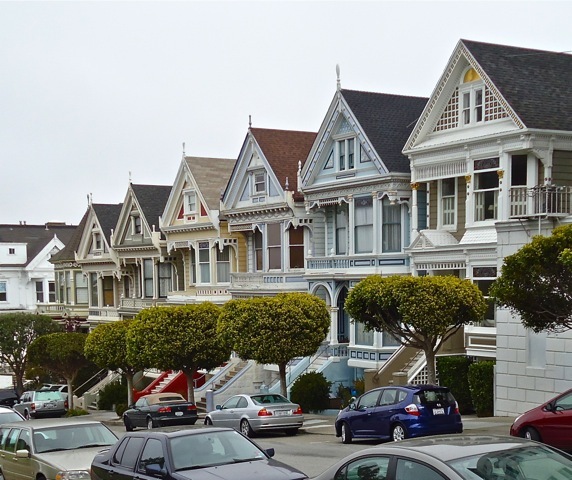 San Francisco is famous for its many Victorian houses that have been lovingly maintained by their proud owners. 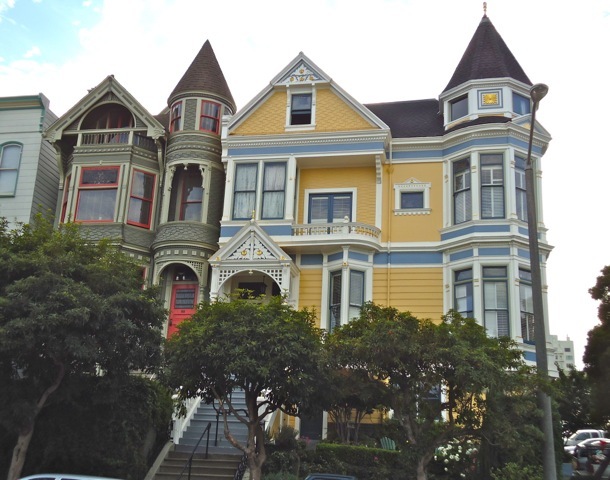 These Queen Anne styled Victorian houses have characteristic turrets. 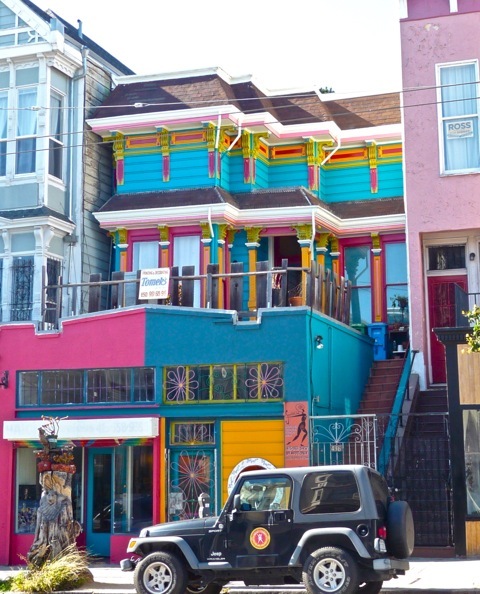 This multi-colored house is probably owned by a hippie who moved to SF in 1960s and retains the flower children aesthetics. This cable car climbs half way to the stars. 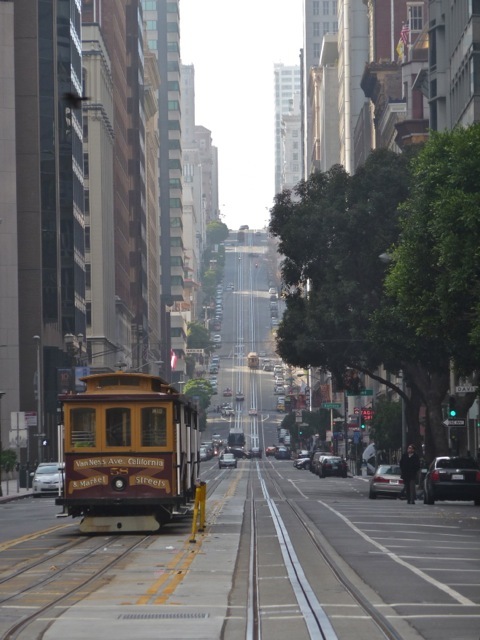 At the top of a steep Lombard Street is an even steeper stretch with eight hairpin turns. 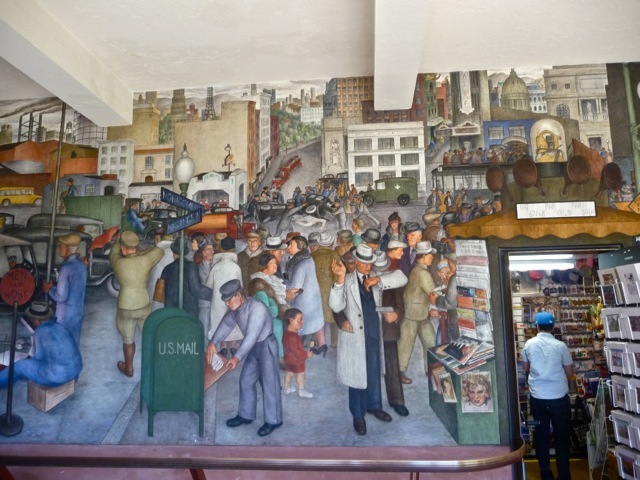 The mural in Coit Tower is realistic about SF city life. A man is held up at gun point on a busy street, and a car accident draws a crowd in the background. In reality, SF is a safe city with relatively few crimes. The adequate police force rides in patrol cars and on motorcycles and bicycles. 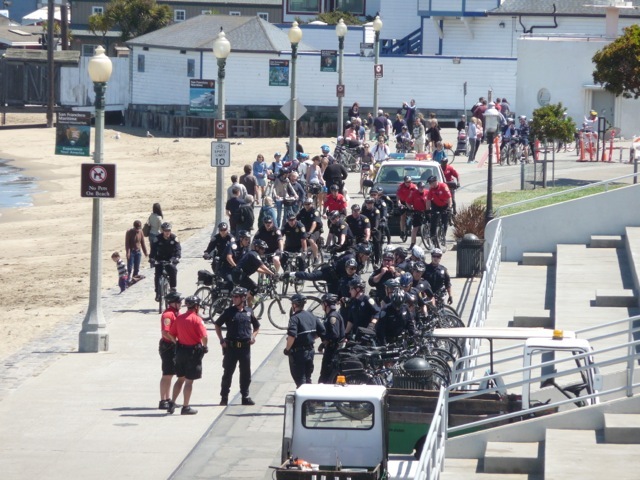 In this picture, many of the mountain bike cops congregate for an operation. 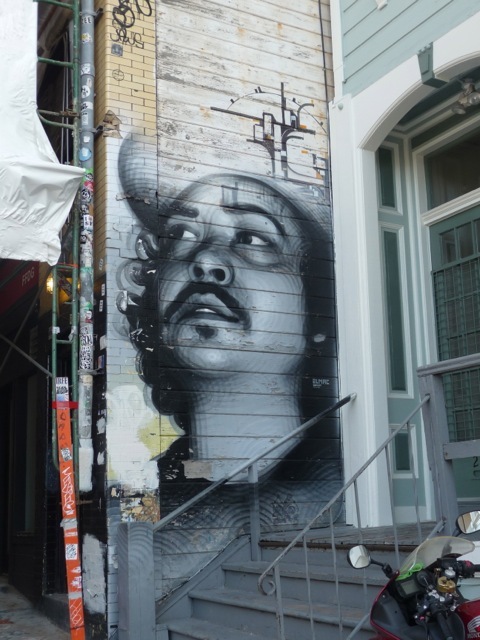 Some SF houses have murals painted on their sides. Graffiti “artists” seem to have professional respect for fellow painters and nicely painted murals are often left unmolested. 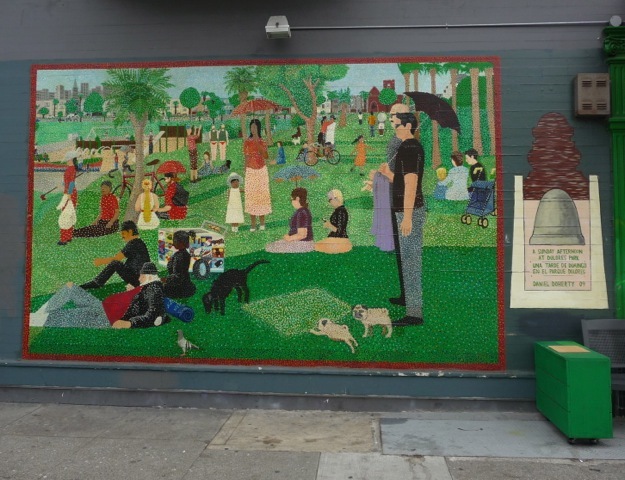 This mural was painstakingly painted with dots of color. This beautiful mural was done with arcs of spray paint circles, apparently by an extremely talented artist. 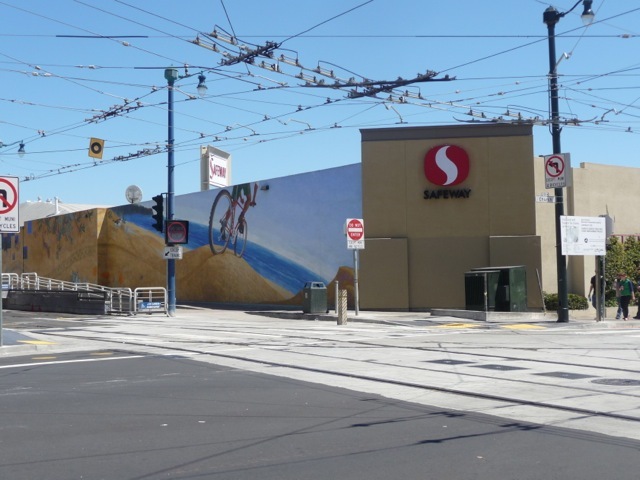 This long mural on the wall of a supermarket paints a bicyclist facing the ocean. 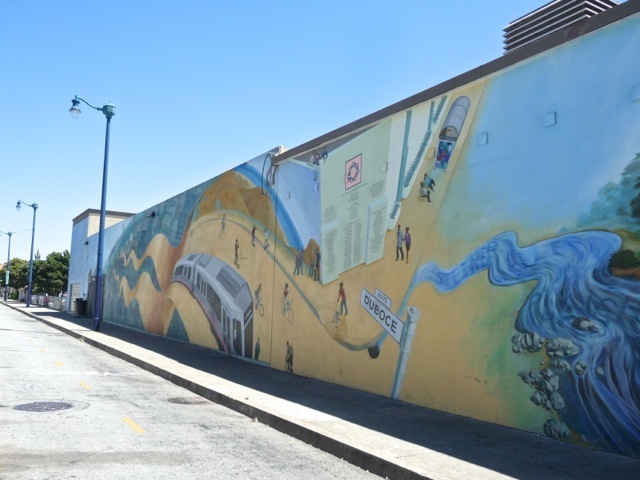 Further down the supermarket wall, the supermarket building with the bicyclist is painted into the mural. This intriguing nested mural draws my attention for many months. A painter works on a new work of art. SF has moderate weather and a tolerant attitude towards the poor, even though its cost of living is very high. 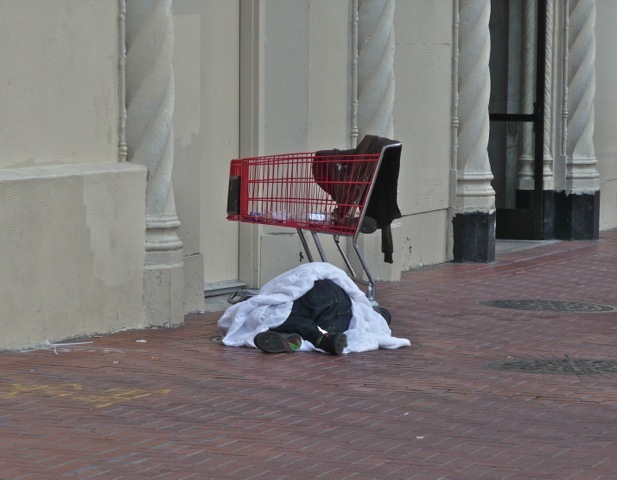 Many homeless people flock to SF, making it the US city with the highest number of homeless people per capita. Many of these homeless are drug addicts, and often beg for money. Many tourist and some city residents find the homeless to be one disturbing feature of this otherwise peerless city. SF is embarking on an experiment to solve two problems in one stroke. 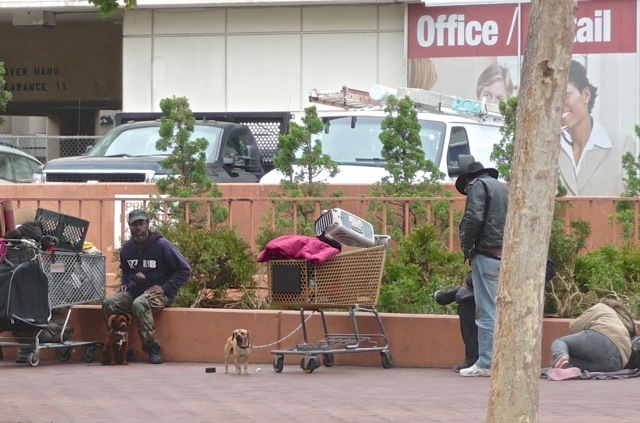 The city is matching homeless people with unadopted dogs in the SPCA pound, and the homeless people promise not to beg. The mutual companionship seems to benefit both the human and the dog. 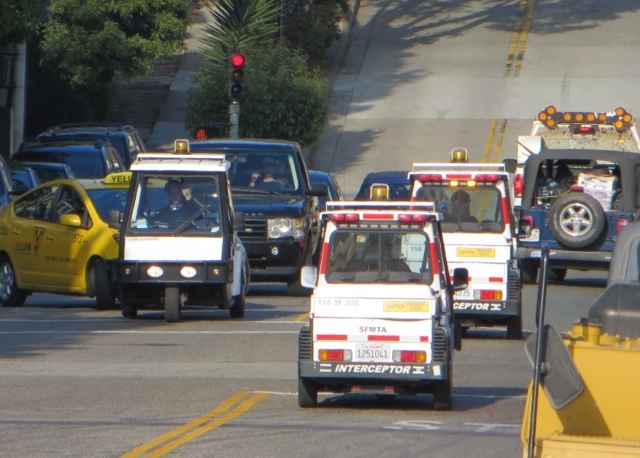 The scourge of car owners in SF is these omnipresent traffic enforcement carts. They comb the streets and are quick to write parking tickets. 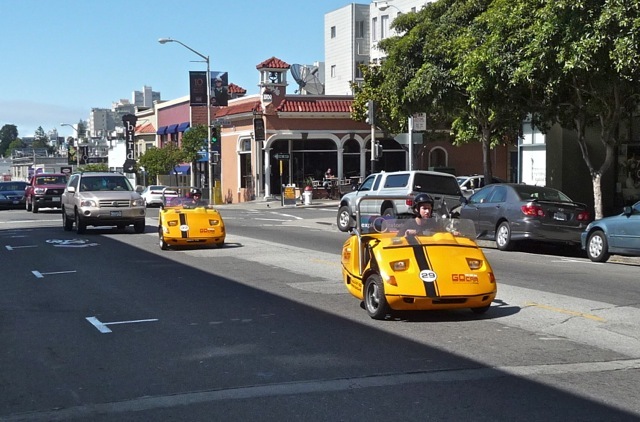 SF is embarking on an innovative method to crack down on illegal parkers. Buses are equipped with cameras to record street scenes as they run their routes. Then the videos are reviewed to identify illegally parked cars, and parking tickets are issued to those cars’ owners. California allows marijuana to be legally used for medical reasons. 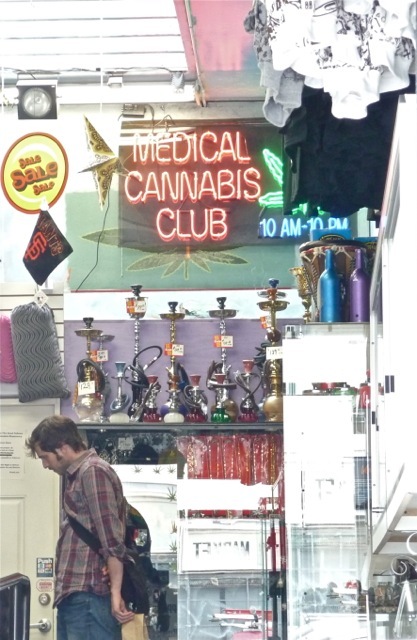 To this New Yorker, it is surprising to see pot being sold openly in stores. It is estimated 15% of SF residents are gay. The gay community began in early 1900s as the US armed forces dishonorably discharged gay soldiers/sailors in SF area. 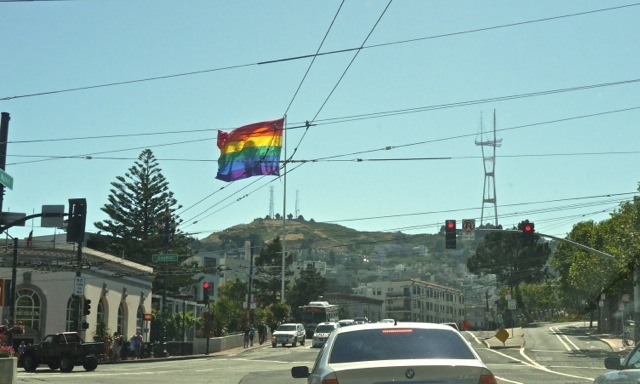 A humongous rainbow flag flies in the Castro district to declare gay pride. 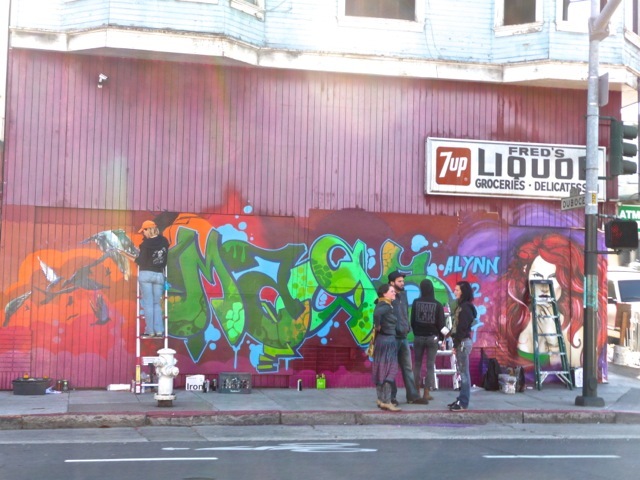 SF is a fun, carefree city with lots of youthful spirit. 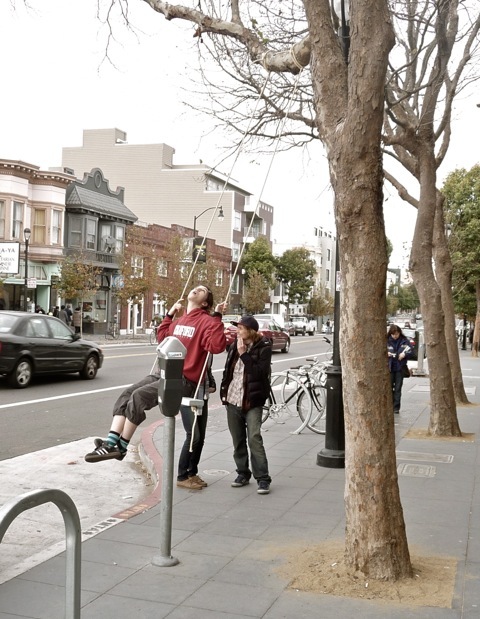 A swing is hung from a branch of a sidewalk tree. Chinese Americans have been an integral part of SF for nearly 150 years, making up 20% of the population. The current SF mayor is the first Chinese American mayor of a major US city. Chinese Americans are found in almost every walk of life. 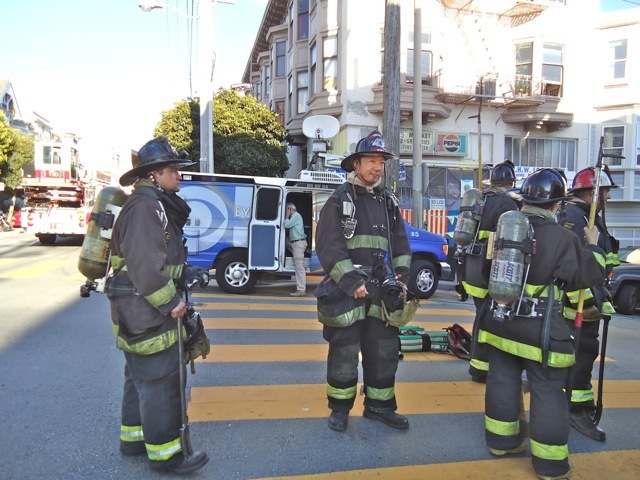 This firefighter serves the city along with his brother and sister firefighters. 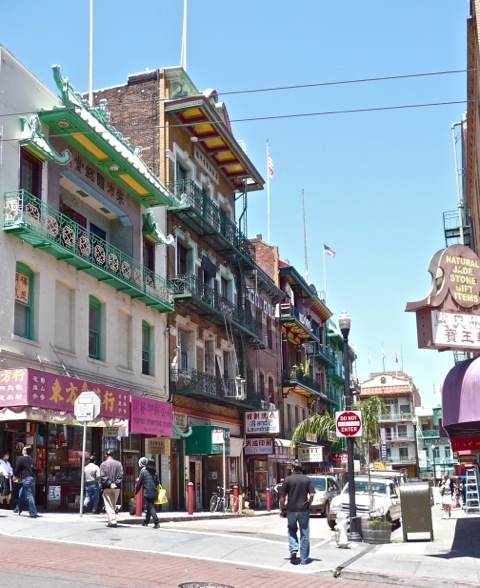 The integration of Chinese Americans in a wide spectrum of SF life reflects the tolerant atmosphere of the city and the diversity of the community. 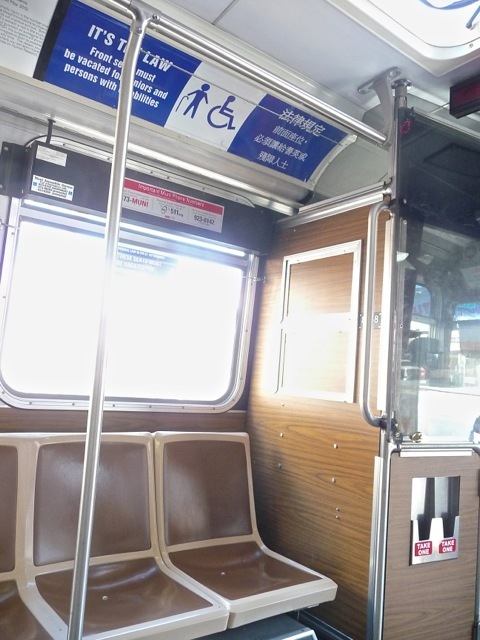 Public transportation has signs in English, Spanish and Chinese instructing passengers to give the front seats to the elderly and disabled. Sally and I have been frequently given seats by considerate younger folks, and we feel pampered. We like this city. Posted by Robert Wu on Wednesday, October 10, 2012, at 6:47 am. Filed under Uncategorized. Follow any responses to this post with its comments RSS feed. You can post a comment or trackback from your blog.